and Gold Star Family Members. to show the Department of Defense issued ID. to your AC and heaters running smoothly. We are family owned and operated since 1993 and experts when it comes to your cooling and heating needs. Nobody wants uncomfortable indoor temperatures that’s why our certified technicians can be at your home the same day! Whether you need HVAC replacement, maintenance or a simple repair, we are here to serve you. We care about the needs of our community and treat all of our customers like our own family. We understand what it’s like to need HVAC repair in Texas, which is why we’re the best company for the job when your air conditioner stops working. Give us a call today and start feeling better instantly! When your air conditioner breaks down, you can find relief from the hot summer sun by depending on our outstanding services whether it’s repair, maintenance, or new a/c unit, we’ve got you covered. 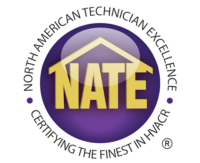 Our experienced professional technicians are trained and certified so you can rest assured that we’ll get the job done right the first time, every time. As part of our commitment to you, we are offering the following specials, rebates, and financing to help you make it affordable to find comfort in your home. Air conditioning units are especially taxed during the hot summers in Texas, and regular maintenance is crucial to keep your components working in optimum condition. We are determined to be the solution to comfort for our community. Don’t break the bank and let your system continue to run on duct tape. We make comfort easy, ask about our specials and financing. Call Today for a free estimate at (713) 999-4165 or fill out the form below! The Carrier® Factory Authorized Dealer program is much more than a label and a logo. It’s a program that rewards dealers whose drive and determination reflect the vision and values exemplified by Willis Carrier. Becoming a Factory Authorized Dealer requires a commitment to quality, customer satisfaction, education, training, certification, and brand loyalty. It focuses on delivering real service – improving customer satisfaction with the Carrier brand by diligently evaluating and improving business practices at all levels. And when a dealer becomes Factory Authorized, it’s a merit well-earned. The Factory Authorized Dealer distinction represents a dealer who embodies excellence – who delivers on the promise day in and day out. It represents a set of standards and integrity the dealer honors and the consumer will trust. Air Expert is an active member of TACCA-GH (Texas Air Conditioning Contractors Association-Greater Houston). Only about 5% of the Texas licensed HVAC contractors are affiliated with this elite group of air conditioning contractors that represent the highest standards in the industry. To become a TACCA member a contractor must prove they are licensed by the Texas Department of Licensing & Regulations, maintain proper business insurance and adhere to a strict code of ethics. We currently hold a board position and our owner is a past President.